The brake contains all sorts of dust and if you ignore it for too long, it will cause the dirt and grime to bake on the wheels, which will be impossible to clean after a while. In order to avoid this, use a damp sponge to clean the tires regularly. You should be checking the tire pressure at least once a week because low pressure affects the fuel economy and that will simply add to your cost. If you will take a look at the engine, you will see a number of rubber drive belts that are looped around the pulleys. The rubber disintegrates after a while and should be replaced after every 50,000 miles. Make sure that you check if the engine needs oil because this is one of the most common things that are overlooked by people who have pre-owned vehicles. 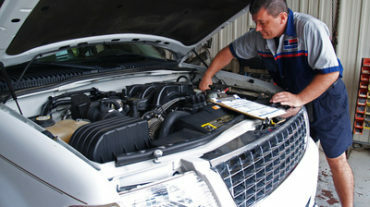 Before checking, make sure that the engine is completely cool and then locate the dipstick. Take that out, clean it, check the oil level, and then push it all the way back in until the top is properly sealed. It is recommended that you check the coolant of the car every week to see if it is between the MIN and MAX marks. One great tip is to get the anti-freeze topped up before the winter season in order to make sure that you and your family have a smooth ride. Clean your car regularly and use decent quality wax to polish the exterior of the car. 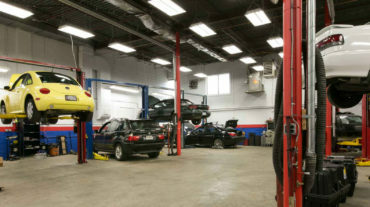 If you have no experience of polishing the car, it is suggested that you take it to an expert. While cleaning the car, make sure that you look out for signs of rust. If you detect rust in the body, take it to the local auto repair shop. Look out for damage and if you see any chips, get it repaired by an expert because the cracks can grow and that can be extremely dangerous for the driver. You should check all the indicators, brake lights, reversing lights, and the fog lights once a week. If you see that one blinker is flashing faster than the other one, it means that one of the bulbs is down and needs to be replaced. Want to learn more about used cars in Cambridge? Get in touch with us by emailing at xtremeautosales@bellnet.caor by calling 519-342-1693.